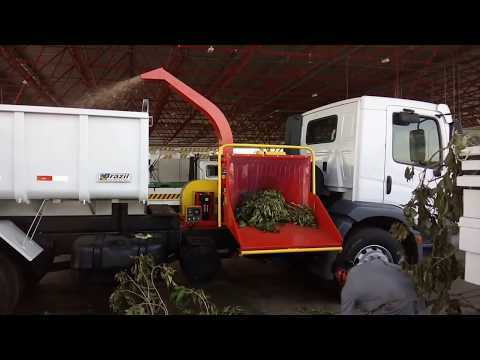 The Wood Chipper PDU 200 C is a product that can be adapted for trucks, causing it to be easily loaded wherever its that truck is. The secret of the PDU 200 C is in the practicality and ability to be adapted to your need. 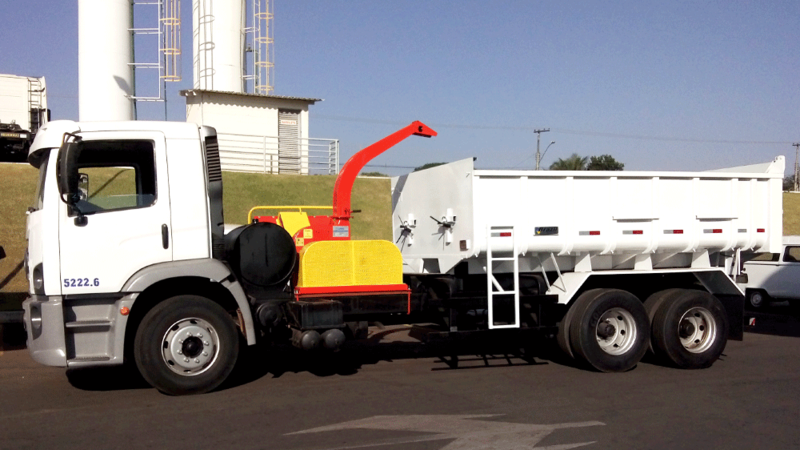 It can be adapted to your truck, and can discharge the material directly into your cart, which facilitates the transport of the material to the place of discharge. Using the action of a powerful fragmentation disk, the PDU 200 C continuously grinds twigs and small trees up to 160mm in diameter. Producing an excellent organic compound to fertilize plants or to conserve water. 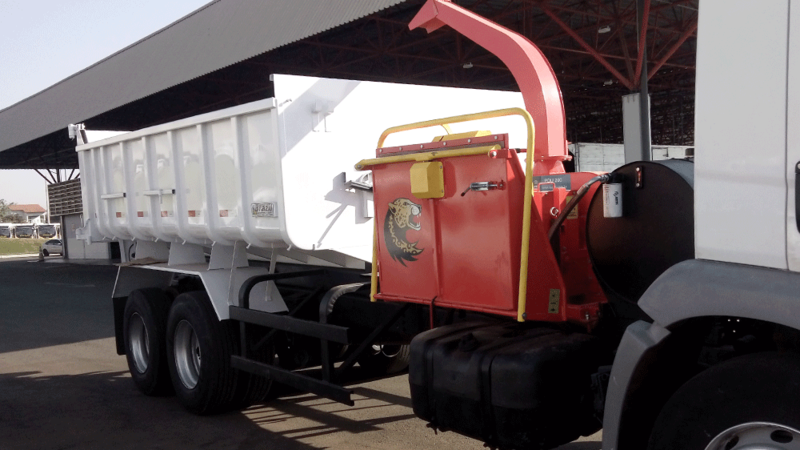 Front and reverse drive bar strategically located around the feed rail, providing operator safety. Why choose the PDU 200 C? 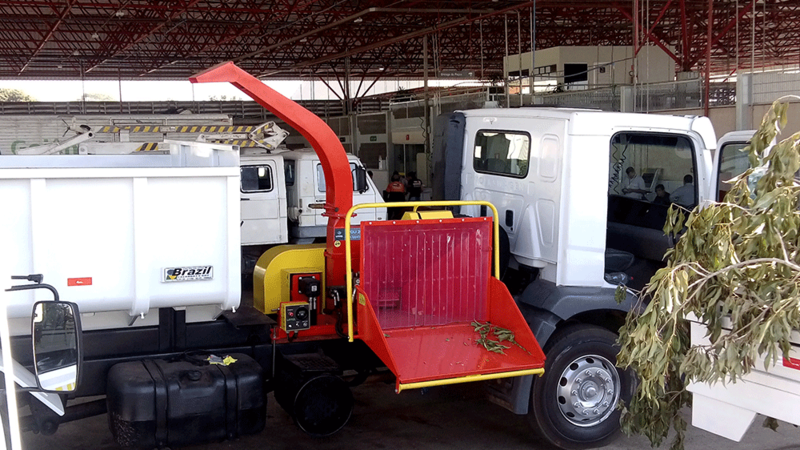 - The chopper can be easily adapted to traction vehicles and their need. - It has RPM monitor that prevents over power to the motor and optimizes the operation. - Produces high quality chips, ideal for ground cover or energy burning.